E.P. Sanders | Amazing Lookalike! On the left is Ed Sanders, author of the breakthrough work Paul and Palestinian Judaism (1977) and former Professor of Religion at Duke University. 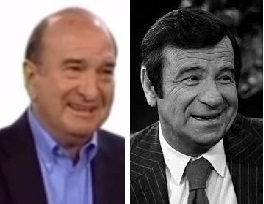 On the right is Walter Matthau, the actor most famous for his role as Oscar Madison in The Odd Couple (1968).